The offender is described as a Black male, approximately 5’8″, dark complexion, between 30-40 years of age, thin build, short black hair, wearing a light blue shirt and dark blue jeans. The offender was driving a late model Black Chevrolet Impala. Be aware of this situation and alert your neighbors. Do not let children walk alone; Identify safe havens along the school route. 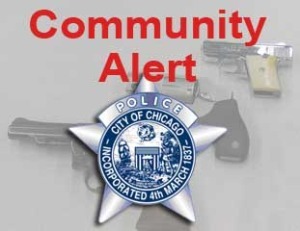 Call 911 to report any suspicious person, vehicles or activity in your neighborhood. Instruct your children to notify the nearest adult (crossing guard, police officer, school personnel) of the incident. Your donation will help Claretian Associates to host peace circles between at-risk youth and police officers. These circles help both groups to understand each other and begin to work together! 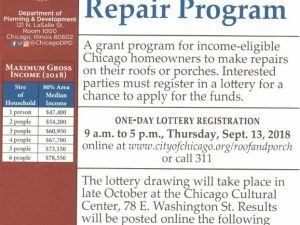 2019 Roof & Porch Repair Program One Day Lottery!